How do I change language in ManyCam? Cannot reach server. Please check your internet connection. 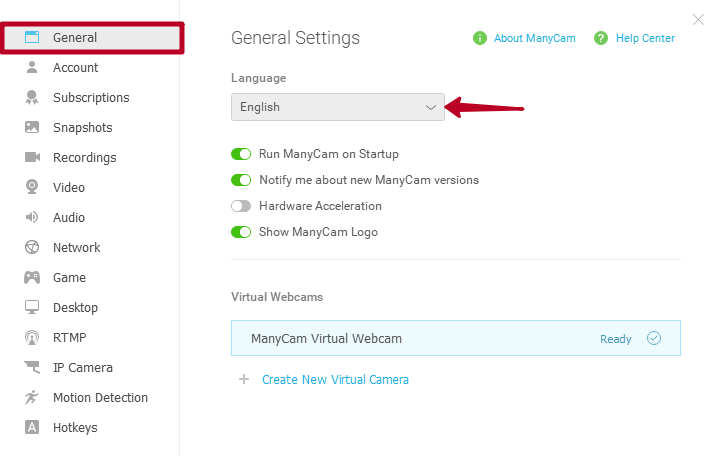 How to rename ManyCam Virtual Webcam? How to restart a video file from the beginning in ManyCam?